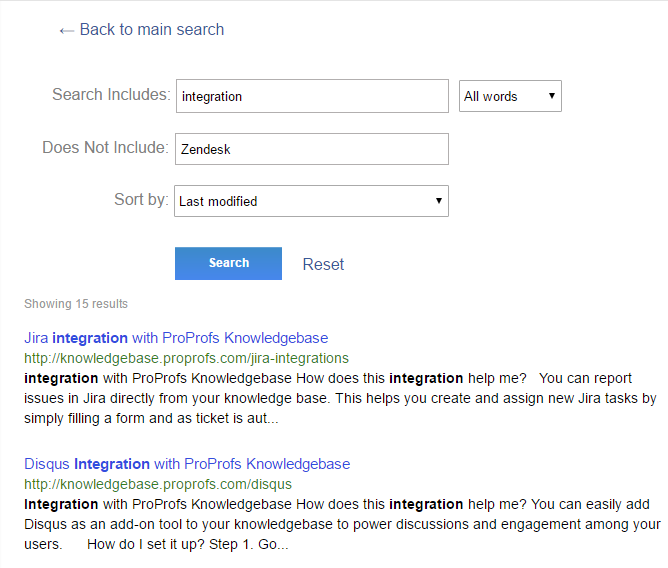 With ProProfs Knowledgebase your visitors can now find your help content even faster. 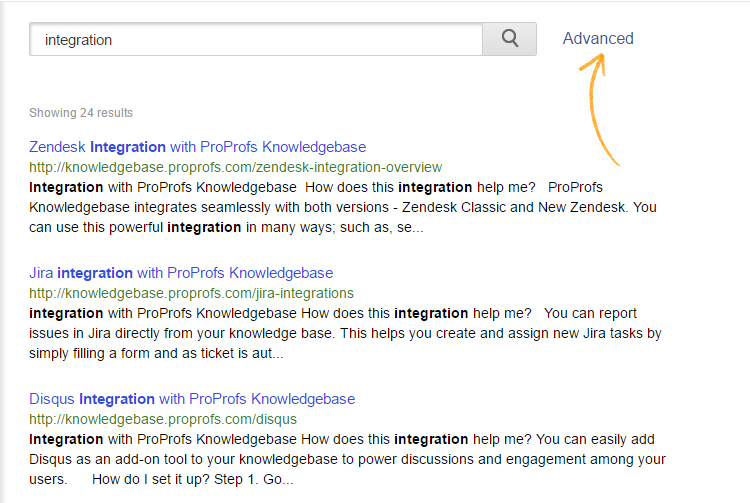 Advanced Search allows users to narrow their search with more advanced fields. Step1. Click on the search bar and enter anything you want to search. For the sake of demonstration, we've searched "integration." Click on "Advanced" as shown below. Step2. It will take you to the Advanced Search. Here, you can add details to your search. You can search either by "All words" or "Exact Phrase." All words: This will search the words in search box irrespective of their order. 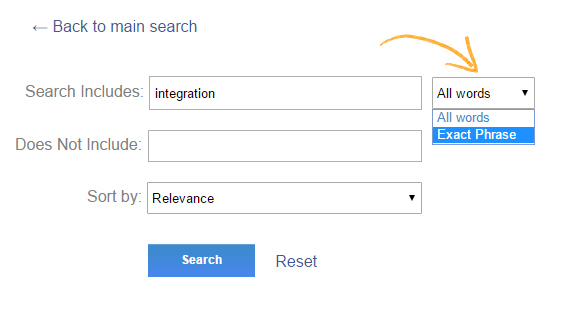 Exact Phrase: This will search the words in the search box in the specified order. Step3. You can sort your search by clicking on "Sort by." 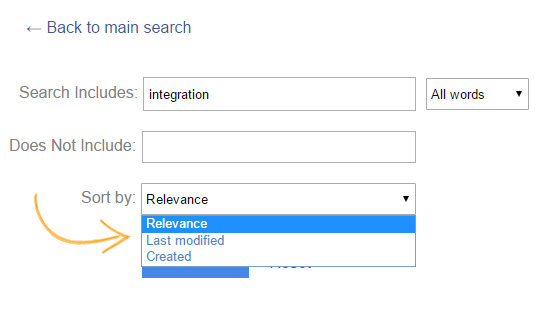 Relevance: This will show the most relevant search as per the added keywords. Last modified: This will show the documents which were recently edited. Created date: This will show the result as per the creation date of the documents. Single Keyword Term: Any search with a single keyword term will follow the same priority logic.